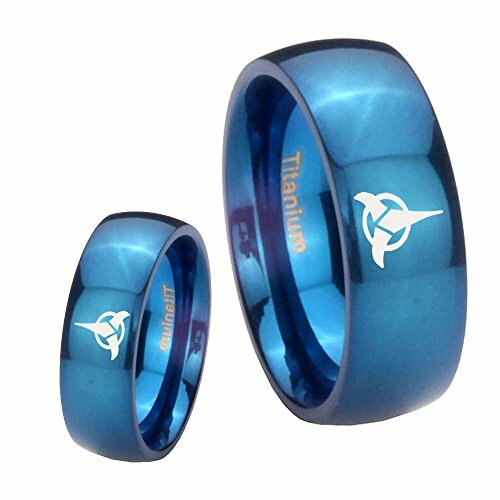 Today we have some stunning Star Trek themed rings for guys to show you. Star Trek is probably one of my earliest TV show memories and I think I’ve seen every episode of every version too! My favorite is The Next Generation though – there was something about Picard that just clicked with me and he’s still one of my favorite actors! 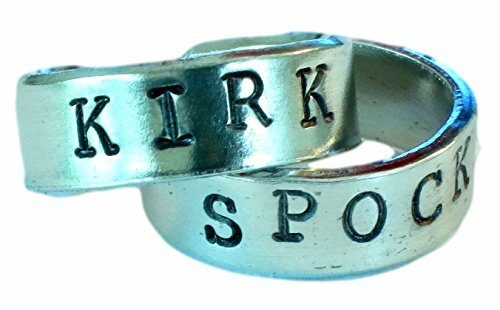 I’ve featured the Star Trek spinner ring before but it’s so cool, I just had to include it again! I often fiddle with my own rings so having one that is designed to be fiddled with and shows my favorite TV show would be so cool! 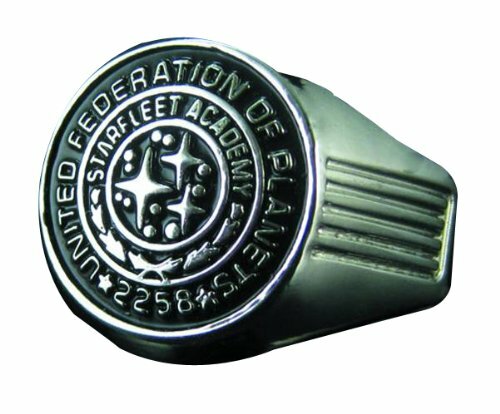 The Starfleet Academy class ring is from the movie Into Darkness and looks great! 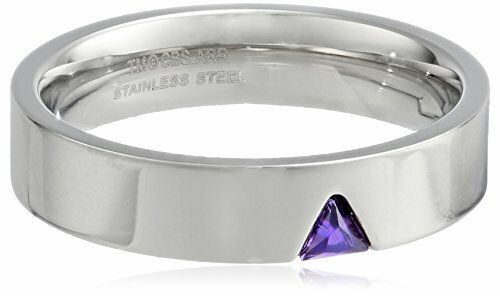 I’m not familiar with class rings – it’s not something that has caught on here in UK, so this Star Trek class ring looks exactly how I imagined they would look. 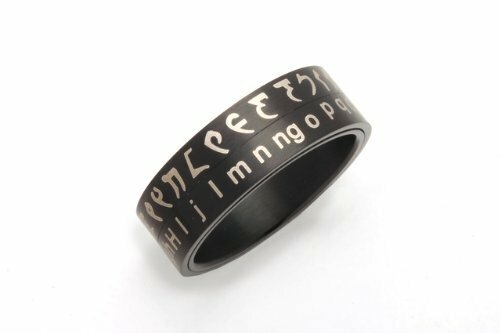 Another spinner ring, but this time it’s a Klingon translator ring. 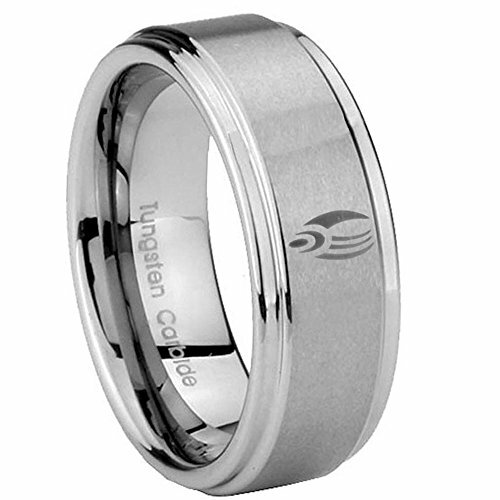 I do remember decoder rings from my youth and we had great fun sending secret messages with them! Sending secret messages in Klingon would have to be one of the ultimate geeky things to do though. 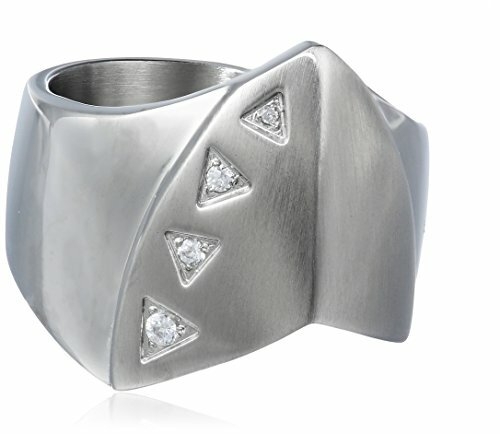 I really love the simplicity of the Star Trek trillium crystal ring – it’s available with yellow or red gems too. 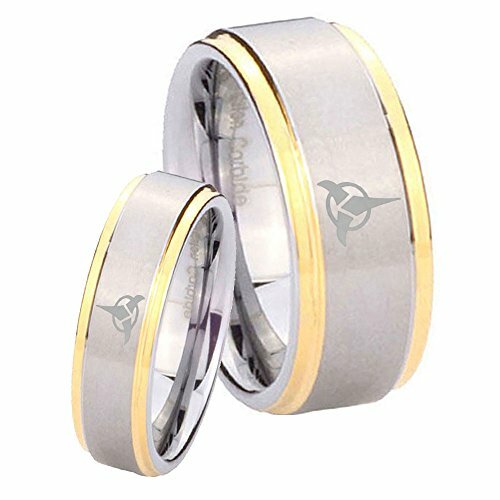 These Star Trek wedding rings look gorgeous and come in a huge variety of colors and styles. There are also three different engraved icons available too – the Borg, Klingon and Starfleet. You can choose from silver, gold, rose gold, black or blue for your color choice then it’s just a matter of whether you want a shiny one or a brushed version which is more matte. 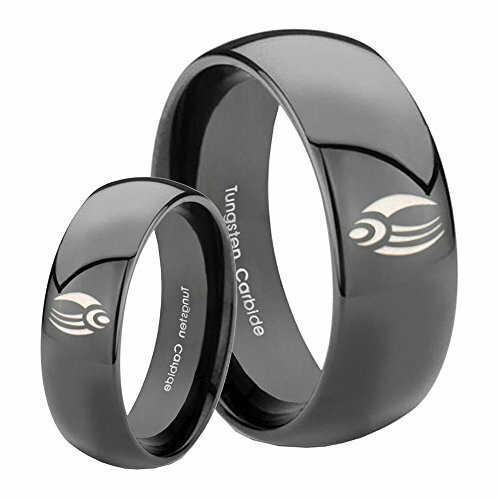 Once you’ve chosen the color and finish for your Star Trek wedding ring, you will still need to decide what kind of shape you want – there’s a straight pipe cut, a domed version like the blue one or a concave one like the black and silver one below. Some have two tones of metal as well! 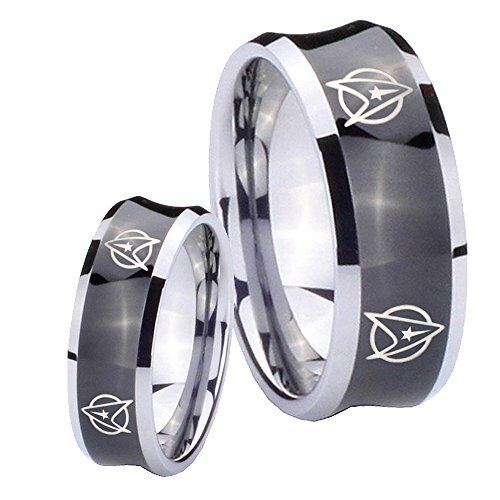 Basically there are endless variations of these gorgeous Star Trek weddings rings available. 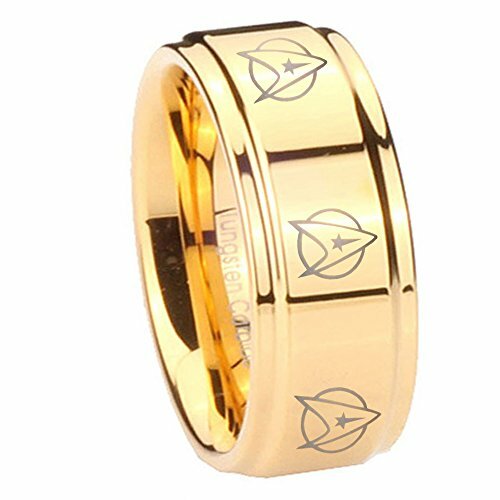 Some come in His and Hers sets so if you are both big fans of Star Trek, your lady can have a matching wedding band too. A Star Trek ring would make a fantastic gift for any guy who loves Star Trek and with this many different styles available, there’s sure to be one he really likes. 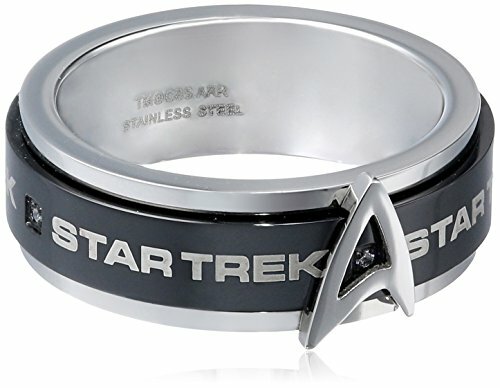 I have to say my favorites are the two Star Trek spinner rings, especially the Klingon translator one! If you prefer non-jewelry gifts, check out our other Star Trek gift ideas posts below. You can also contact us via Twitter @giftsgamersgeek or our Gifts for Gamers and Geeks Facebook page if you’d like to suggest a topic.